 Aliphatic and pigmented polyurethane prepolymer. Solvent base. Easy application (roller or airless sprayer). Glossy finish which is easy to clean. Does not yellow like aromatic polyurethane. Maintains its mechanical properties at temperatures between -30°C and +90°C. The waterproof surface can be travelled on by people. Finishing varnish in the waterproofing of covers. Good surface preparation is essential to get the best, long-lasting finish. The surface must be clean, dry and free of any type of contamination and factors that may affect the adhesion of the membrane. 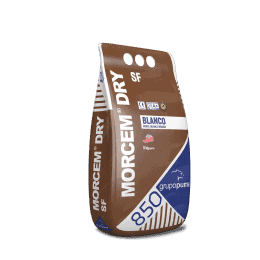 The maximum moisture content must not exceed 5%. WARNING: Do not clean the surface with water. 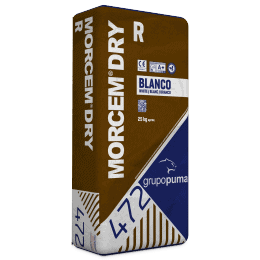 Apply Morcem Elastic PM Varnish U.V. 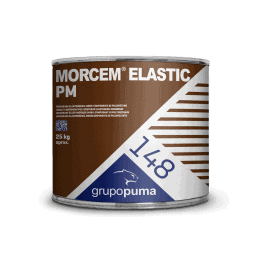 on Morcem Elastic PM with a roller or airless sprayer in two coats. Leave to dry for 3 to 6 hours (not more than 8 hours) between the two coats. For best results, the temperature during the application should be between 5°C and 35°C. Low temperatures may affect the drying time. Excessive humidity may affect the final result. The product should be protected from humidity and direct sunlight. The storage temperature should be between 5°C and 35°C. The products should remain in their original, unopened packaging, keeping the name of the manufacturer, the name of the product, the batch number and the safety measures specified on the label. 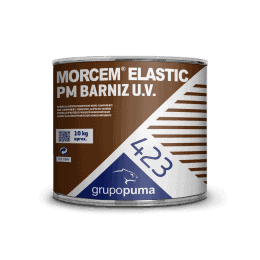 Morcem Elastic Varnish U.V. contains isocyanates. 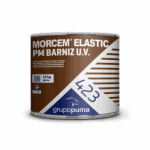 Morcem Elastic PM Varnish U.V. is supplied in tubs of 10 kg and 5 kg. 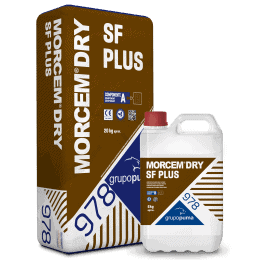 The product should be stored in a cool, dry place for up to 9 months. Our technical advice for its use, whether oral, written or in tests, is given in good faith and reflects the current level of our knowledge and experience of our products. We are only responsible for our products if they are correctly applied, therefore the responsibility falls entirely within the context of their application. We, of course, provide products of consistent quality within the scope of our General Conditions of Sale and Delivery. Users are responsible for complying with local legislation to obtain any necessary authorizations. The values in this technical datasheet are given as examples and cannot be considered as specifications. If you have a query which differs from what is described, please consult our technical department. The new edition of the technical datasheet replaces the previous one and makes it invalid. Therefore you always need to have the latest edition of the technical datasheet. Complaints must be accompanied with the originall package to allow proper traceability. Colors White, grey, red and green. Other colors on request.